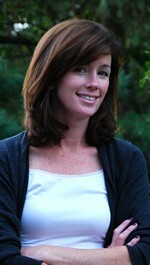 Jenny the Librarian who left a comment on August 30, 2011. Congratulations to the lucky winners To claim your prize, please contact me with your full name and address by September 15, 2011. Shipment is to US and Canadian addresses only. Many thanks to author Tracy Kiely for sharing her early poem writing !!!! and for creating such a fabulous new Austen-inspired murder mystery. Following in the footsteps of her previous works Murder at Longbourn and Murder on the Bride’s Side, author Tracy Kiely has just released Murder Most Persuasive. Wherein she previously drew plot inspiration from such Jane Austen classics as Pride and Prejudice and Sense and Sensibility, in this new mystery novel she’s set her sights on Austen’s beloved Persuasion, re-imagining the classic tale against a modern backdrop and involving, yet again, her Austen-quoting sleuth, Elizabeth Parker. After the death of Elizabeth’s great-uncle Martin Reynolds, the Reynolds family house is sold. Much to everyone’s surprise, the new owners discover the body of a man under their newly dug-up pool who is later identified as Michael Barrow, the former fiancé of Martin’s eldest daughter Regina. It had been assumed that Michael had run off eight years earlier after embezzling over a million dollars from the Reynolds family business. The discovery of Michael’s body not only unearths questions about the earlier scandal, but it also brings Detective Joe Muldoon, former boyfriend of Martin’s second daughter Annabel (or Ann), back into the picture. Eight years earlier, Ann had been pressured by family and a close family friend to break off her relationship with Joe, a decision she has come to bitterly regret. Emboldened by past detective successes, Elizabeth spearheads a movement to discover Michael’s murderer, an effort that becomes all the more urgent when police begin to treat Ann as their prime suspect. Making matters worse is Ann’s stepmother Bonnie who bizarrely escapes to a spa retreat as soon as her late husband’s funeral is over and returns with a younger man who claims to be an investor eager to get his hands on Bonnie’s and the girls’ inheritance. Throw Elizabeth’s know-it-all sister who’s suddenly determined to help with the investigation, the mysterious behavior of her Reynolds cousins, and a boyfriend who is ready for Elizabeth to move in with him into the mix and you’ve got a very complicated situation that Elizabeth is determined to navigate. All this and, of course, she must gently nudge Ann in Joe’s direction, eager that Ann not make the same past mistakes. Will Elizabeth locate the murderer before he or she can strike again? And will Ann gain the confidence and courage she needs in order to pursue a relationship with a man that her family has deemed unworthy? Ann’s story should recall the story of Austen’s Anne Eliot who is forced to break off her engagement to Frederick Wentworth because he fails to live up to the expectations of family and close friends. In fact, it becomes increasingly clear throughout the novel that Ann Reynolds is the modern-day equivalent to Anne Eliot, an overlooked middle daughter who must learn to trust her own instincts rather than allow others to easily persuade her. Persuasion’s Anne Eliot has always been one of my favorite Austen heroines and it’s delightful to see a contemporary reincarnation especially since authors tend to gravitate more towards Austen’s arguably most famous heroine, Pride and Prejudice’s Elizabeth Bennett. While I love Lizzy, there is a quiet strength about Anne that I have always found admirable and it’s gratifying to see that quiet strength reborn in a modern Ann. 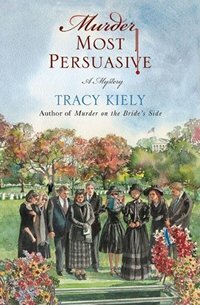 While Persuasion serves as a source of inspiration for Murder Most Persuasive, most of Kiely’s novel is made up of original material with numerous characters and one or two twists thrown in for good measure. Like most well-written mystery novels, Murder Most Persuasive is suspenseful and the reader will definitely try and figure out the murder mystery along with Elizabeth. I, admittedly, think that some of the characters and plot elements could have used more development but this novel is perfect for end-of-summer reading – entertaining, suspenseful, and Austenesque – with Janeites appreciating how Elizabeth always has the right Austen quote for every situation.